Thomas Edison National Historical Park features the West Orange laboratory of Thomas Alva Edison, from which came some of our nation's, most innovative and exciting inventions. The redevelopment of this industrial area was launched in 2016 and now boasts the Edison Lofts residential collection on its sprawling 21 acre campus. When Thomas Edison made West Orange his home in 1886, no one could have guessed the incredible inventions that would emerge from the now famous laboratory he built one year later. In 1906 Edison expanded his laboratory to become a one-million square foot industrial complex that would employ 850 workers across four buildings, producing batteries for industrial uses like submarines and mining lamps. When a raging fire tore through his laboratory in 1914, Edison watched calmly from the neighboring Battery Factory in Building 5 as firefighters attempted to save his life’s work. 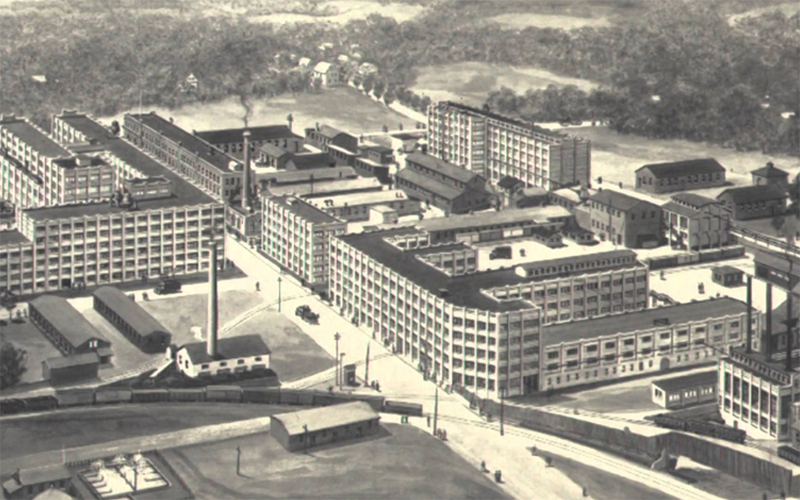 While his laboratory was destroyed, the Battery Factory made from durable Edison concrete miraculously escaped harm. Upon receiving a telegraph from rival inventor Nikola Tesla expressing sympathy for his loss, Edison simply stated, “I’ll start over again tomorrow”. True to his word, Edison rebuilt and ran his operation as a profitable and productive business until his death in 1931. Edison Village, home to Edison Lofts is a vast redevelopment in West Orange that will feature not only brand new luxury residences, but also a premier shopping plaza that will feature shops and restaurants for this rapidly growing residential community. 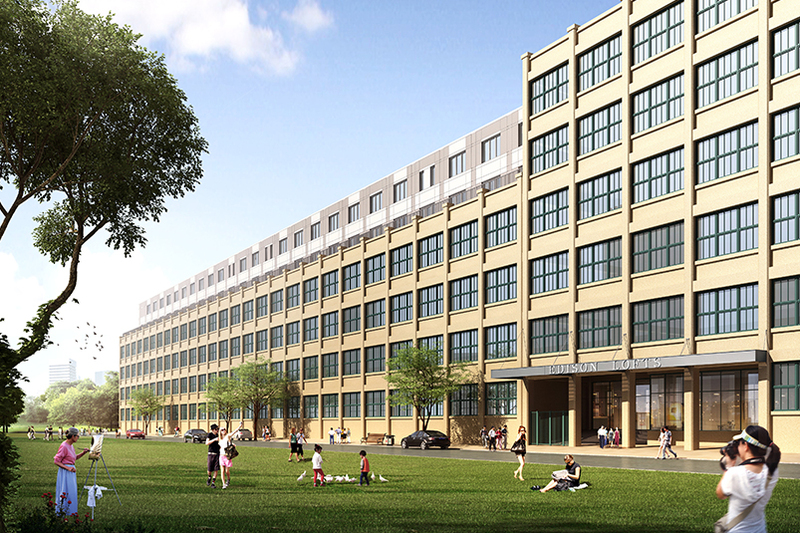 Built on the former site of the Thomas Edison Factory, the architecture of Edison Lofts will preserve the original industrial appearance of the famous factory while offering an exemplary living and retail experience to residents and visitors. Just across the way from Edison Lofts is the Thomas Edison National Historic Park, known for its “step back in time” look at the innovation of Thomas Alva Edison including laboratories, libraries, a museum and open green space.